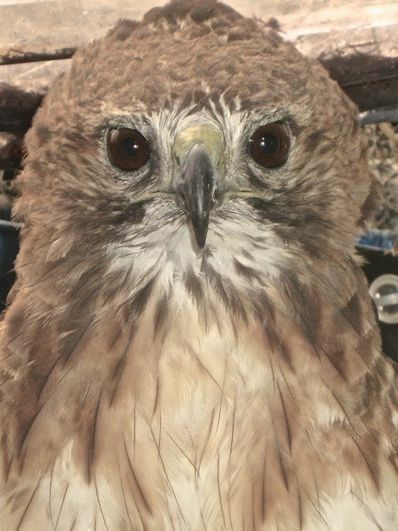 Te Rouge is a female Red-Tailed Hawk from South Louisiana. She has an injured wing and can’t fly. Red-Tailed Hawks are the most commonly seen raptors in this area.